Could you use an extra 20 hours a week? Ramit Sethi, author of “I Will Teach You To Be Rich,” described his number one productivity “tool” and how it saves him 20 hours a week. What would you do with an extra 20 hours? He said he’d tried all the tips and hacks, tools and apps, everyone hears about. Some worked, some stuck, but nothing he tried did more for him than save a few minutes here and there. I’m liking where this is going. How about you? The most successful people have something in common: People who can help them — a personal trainer, a business coach, a supportive spouse. I realized I had money but not time — and that, with this money, I could “buy back” my time. That’s when I hired an assistant. He then details all of the things his assistant does for him. It’s a long list. As soon as I read this, I thought about how I was at my most productive when I had people working for me. I could power through a big stack of files and get a lot of work out the door in a matter of minutes. Decide what I want or need. Dictate. Done. My secretary would type, make calls and take calls and a crap-ton more. It freed me up to do what I do best. Yep. Delegation. It allowed me to earn more and work less. To work smarter, not harder. If you don’t have anyone working for you right now, a good place to start is by hiring a virtual assistant. I’ve mentioned before that attorney Gordon Firemark has a VA in the Philippines that costs him a whopping $75 per week and she works for him full-time. She updates his websites, edits videos, posts on his blog, assists with his podcast, and so on, freeing him up to work with clients and marketing. “I get to have dinner with my kids almost every night,” he said. You’re smart. And good at what you do. But other people are better at some things and if you’re not hiring them or networking with them or letting them inform you through their books and presentations, you’re working too hard and limiting your growth. Even if that’s true, speed is not always paramount. Not for the long term, anyway. Some say that TEAM (T.E.A.M.) is an acronym for “Together Everyone Achieves More”. No matter how good an individual is, no matter how much he or she can produce on their own, a team can produce more. What’s more, a team is more efficient because each individual doesn’t have to do their job and everyone else’s. 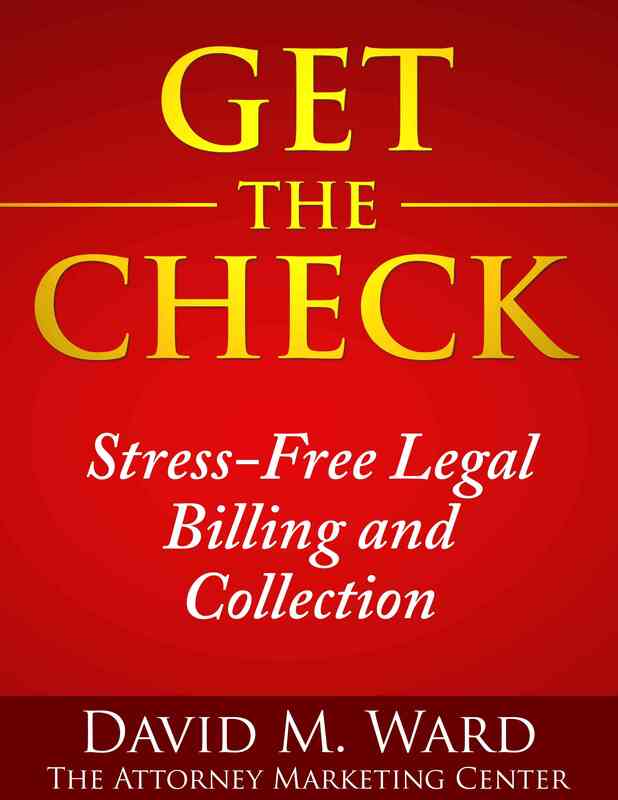 You won’t have as much time or energy to try cases if you also do your own bookkeeping. Whether you run your own practice or work for a firm or a company, you have a team. They may not be an employee, they may never have worked for you, in fact, but they’re out there, just a phone call away. Think about all of the tasks that go into doing your job or running your practice. Some tasks should only be done by you. Many tasks, however, are best done by someone else. Go find them and hire them. Or learn what they can teach you. I’ve got some Kindle books I need to convert to paperback. I could hire someone to do it for me but I decided to learn how to do it myself. I did the same thing learning how to format the manuscripts for Kindle. Short term, it makes sense to hire someone to do these things for me. Long term, having these skills means I won’t have to hire anyone or wait for them to do it. So, by investing a few hours reading books and blog posts and watching YouTube videos, I can now do these things myself. I will always have the option to hire people to do these things for me. But now, I will be better able to diagnose problems and make sure my outsourcers do what I want. On the other hand, there are some skills I know I’ll never tackle. I outsource book covers and graphics, for example, because I don’t have artistic talent and because apps like Photoshop have a very steep learning curve. It might be fun taking classes and getting to the point where I could do a decent job of creating graphics in house, and “fun” isn’t irrelevant, but for me, the return on investment isn’t worth it. Ultimately, ROI must be the primary factor in deciding which skills we learn and which skills we outsource. Few of us have the luxury of learning how to do everything ourselves, let alone the time to actually do it. But we have to be flexible. We have to evolve. In my practice, before computers, it made sense for me to dictate letters and documents to a secretary, along with instructions on what I wanted done. After computers, it was often quicker to type things myself. You know that I’m a big proponent of delegating as much as possible. You’ve heard me say that my objective is “to do only those things that only I could do” and delegate everything else. But in a complex and ever-changing world, this isn’t an absolute. If it were, I would still be dictating everything and I wouldn’t have fun learning new things. There’s a productivity maxim that says we should only touch a piece of paper or file one time. If you pick it up, you do something with it. Get it off of your plate and onto someone else’s. Fortunately, most of what you have to do on most of your files can be done quickly. Take a look, make a decision, scribble a note, done. Give it to your secretary or assistant to carry out your instructions. When I was practicing, I would come into the office in the morning to a big pile of files and papers on my desk. My mission was to get through that pile as quickly as possible and put those files on my secretary’s desk. I’d write a note, review an incoming letter, dictate something, sign a letter, and so on, and in a minute or two, each file was done and off my desk. It was a game and I played it well. I delegated like a boss, because, well, I was the boss. Of course there were plenty of files that required more than a few minutes of attention. No problem. As I chopped the wood pile down to size and got rid of the kindling (the easy files), I started a new pile of bigger logs. This didn’t violate the “touch once” rule because I did something with the bigger files–I looked at them, decided they needed more time, and put them in another pile. An overwhelming pile of twenty-five files would thus (no charge there, either) be reduced to a much more manageable five or six. While my staff was working on the pile I had given them, I would dig into the bigger projects. Yes it’s all a mental game. But if you’re like me, it’s a game you enjoy playing. You keep your staff busy, you keep your desk clear, and you get more balls into the opposition’s court so they can do what they have to do and get back to you with offers. That’s how you keep the cash flowing and go home early. What should I have my virtual assistant do for me? I got an e-mail from attorney who uses a virtual assistant “to write and edit letters to prospective clients”. He asked me what else he could have her do. I have a full-time VA in the Philippines. She costs me about $75 per WEEK (full time). I gladly pay this even though I often don’t have 40 hours’ worth of stuff for her to do. I don’t let her handle much for my law practice. Her English grammar is a bit off sometimes, but she updates websites, edits video, does show notes for my podcast, handles blog posting, social media promotion of my stuff, etc. She’s been invaluable in getting my courses and info products created and published. This frees up some time for marketing, client service, and for ME… I get to have dinner with my kids almost every night. Letting go of control is my big challenge, but I’m working on it, and Managing a VA is a skill set that needs to be developed, too… the time/distance and cultural differences require some finesse… But I’m glad to have Joanna on my team. I encourage everyone to find a VA to help out with things. So, here’s what I would do. Make a list of every task that is performed in your practice, by you or anyone on your behalf. Write down everything, from opening the mail, opening and closing files, meeting with clients, writing articles, and everything in between. Then, look at that list and put a check mark next to every task that can only be done by YOU. You probably do a lot of things that someone else could do. They may not do it as well, but as long as they can do it at an acceptable level, you should let them do it. Make sure break down the tasks that only you can do into sub-tasks that others can do. You may be the one who conducts the trial, but you can have others assemble documents and write (the first draft) of motions. Now, what about the tasks that nobody is doing? What could you have a VA or employee do to help you with marketing, for example? That depends on your objectives and what you’re willing to do to accomplish them. If you want to do Facebook advertising, you can have an assistant find keywords, create the ad graphics and copy (or co-ordinate with freelancers), and manage the campaigns. 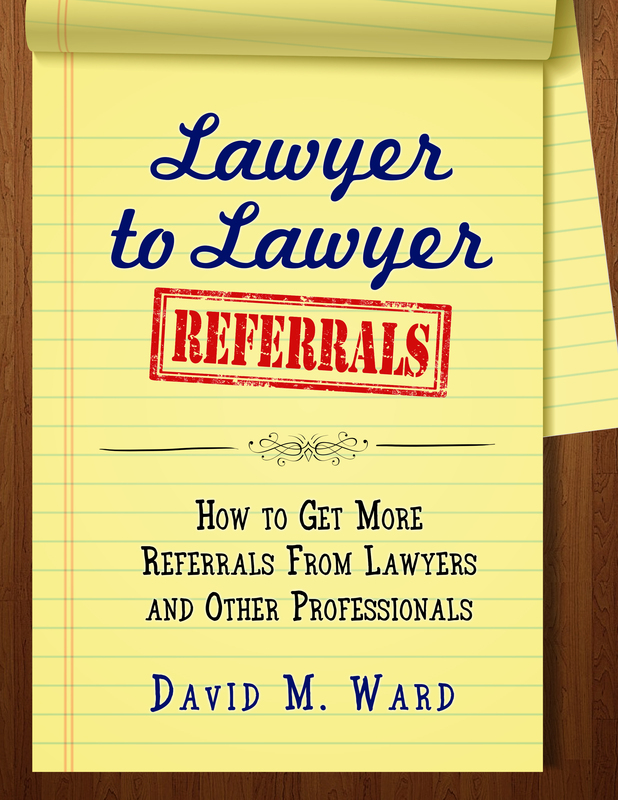 If you have my new course on getting referrals from lawyers, you would have your assistant find other lawyers that you can contact to discuss referrals and joint ventures. The VA can compile details about what they do, make the initial contact on your behalf, and follow-up with those who respond affirmatively. Do only those things that only you can do and delegate everything else. But first you have to figure out what needs to be done. Okay, you (finally) agree that you can’t do it all and that if you want to earn more and not work yourself to death you need to delegate (more). You start with the philosophy that you should delegate everything, except “that which only you can do”. That’s not as much as you might think. If you have attorneys working for you, start there. Give them as much work as possible.This is clearly a “20% activity that yields 80% of your results”. It’s why the big firms are the big firms. It’s where you can take giant leaps in increasing your income. If you have business clients, you can still be the “account representative”. 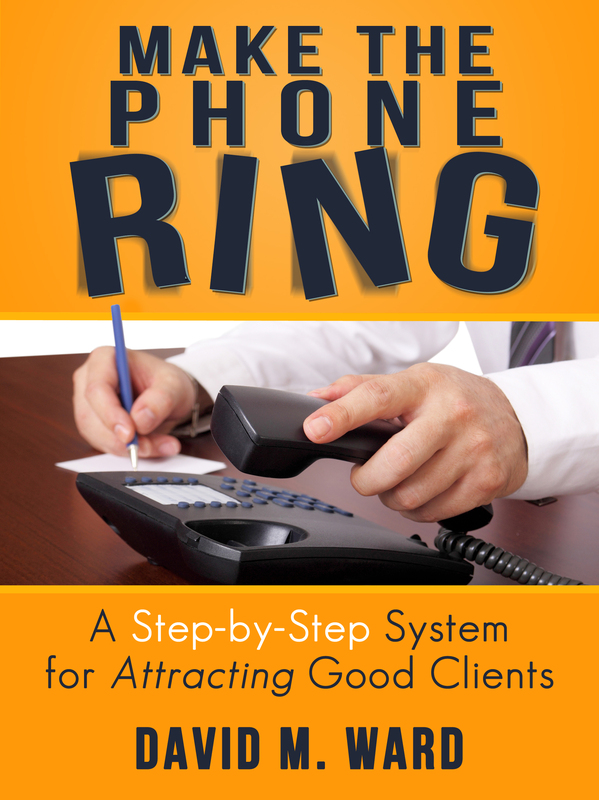 You meet with the clients, hold their hands, take them to lunch, and keep them happy. 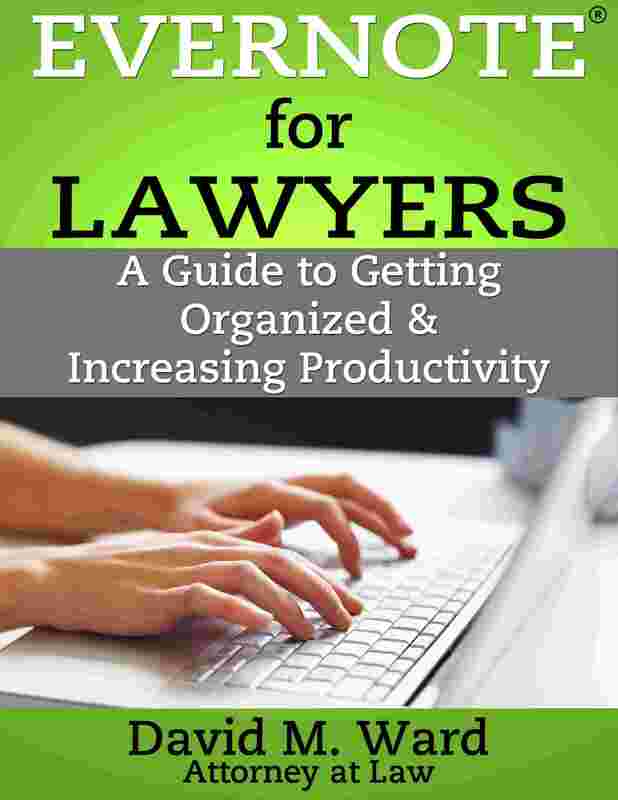 Let your staff attorneys do the grunt work. Okay, you can show up for trial, but only if you must. If you have a consumer oriented practice, you can meet with the clients on their first appointment and at their last appointment. Let your attorneys and other staff do the rest. So, job one: if you don’t have attorneys working for you, get some. If you don’t have enough work to justify that, set this as a goal. Get enough new business coming in to justify hiring your first attorney. 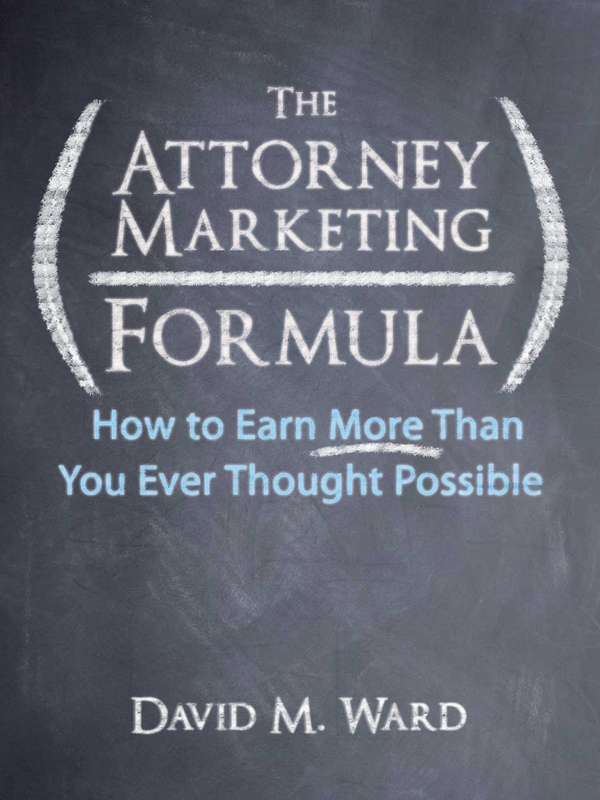 If you don’t want the hassle of hiring and supervising attorneys, set another goal–to bring in enough new business to justify hiring attorneys AND someone to hire and supervise them. Call me paranoid, or call me a lawyer, but I always made sure that I saw and signed every check issued in my office. Today, with everything digital, you have to be even more careful. Marketing professionals services is about building relationships and you can’t delegate that. You’ve got to talk to people. Don’t relinquish responsibility for this. It’s the most important thing you do in building a practice, even more important than the legal work. There are many aspects of marketing that can be delegated. Too many to mention here. So get as much help as possible but make sure you have a hand in all of it. If you don’t have any staff, or enough staff, hire people or outsource. Immediately, if not sooner. Don’t let the absence of delegatees stop you from delegating. How do you build a law practice you can one day own but no longer run? It starts with wrapping your mind around the concept that you don’t have to do everything yourself, or even closely supervise everything yourself. You have to (eventually) delegate all of the work in your office. If you don’t, you’ll never be able to walk away. This is very difficult concept for many attorneys. We’re used to being in control. We thrive on micro-managing. Our egos fight against the notion that someone else can do what we do. We also have a very difficult time dealing with the risk. The truth is, your employees and outsourcers can get you in a lot of trouble. It is a very real risk. But that’s what errors and omissions insurance is for. That risk, and the insurance premiums we pay to minimize the potential damages therefrom, are a cost of doing business. Building a business (law practice) is not about the elimination of risk. It’s about the intelligent management of risk. You do the best you can and if things go wrong, you deal with it and move on. You can either live with this risk and the stress it might cause, or you cannot. If you’re willing to take these risks, or you’re not sure if you can, dip your toes in the water. Delegate something and see what happens. Then delegate something else. Hire someone if you have to, but get someone else doing some of the things you now do. The second thing you need to do to ready your practice for a walk-away future is create a detailed operations manual for your office. Everything you do should be memorialized, with forms and checklists and documentation of every process. Pretend you are going to franchise your practice. Someone is going to open an office and do everything you do. They’re going to pay you to learn how to clone your systems, and then pay you a percentage of their revenue. Make the effort to document your systems in enough detail that someone else could truly step into your shoes. When you get this right, it will allow you to open a second office if you want to (or third or fourth). 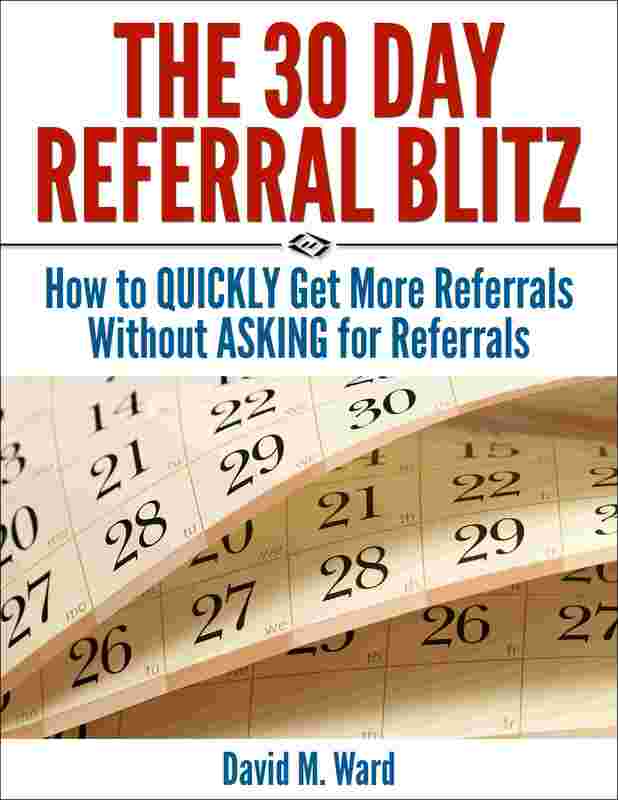 You’ll also have a valuable resource for hiring and training new staff or temps. And, if you’re ready, you can start reducing your work hours at the office. Eventually, you can tip-toe away to semi-retirement. Remember playing “hot potato” as a kid? You stand in a circle and pass around a small object as quickly as possible. When the egg timer or oven buzzer sounds, whoever has the “potato” in hand is out. If you’re the last person left, you win. Kinda like musical chairs. What, you don’t remember that either? Okay I’m old. Anyway, I did my best to run my practice like a game of hot potato. My goal was to get things out of my hands and into someone else’s as quickly as possible. I’d review a file, decide what needed to be done, and give it a secretary to handle. When she brought the file back, I’d do the same thing. I tried to leave work each day with everything off my desk and on someone else’s. I did the same thing with opposing counsel and claims adjusters. Write the letter, make the call, draft the document, send it off. Out of my hands and into theirs. It’s not a perfect system. Bigger projects, things I couldn’t delegate, problem files, were a constant. Getting everything else out of my hands, however, gave me time to handle them. Take a look at your desk or your task list. What could you get rid of right now by handing it off to someone else? Managing a law office is easier if you have some fun with it. Remind me to tell you about the time I brought a Hula Hoop to the office. . . In “6 Ways to Tackle Boring or Irritating Tasks,” the author presents common sense tips for handling unpleasant tasks. I use several of these tips myself. For example, when I have to make a call I don’t want to make, instead of thinking about it or putting it off (and thinking about it) I simply grab the phone and dial the number. By doing it as soon as possible I avoid unnecessary anxiety and I get the job done. It’s like jumping into a cold swimming pool; the more you think about it, the more anxious you become. Dipping your toes in, trying to acclimate yourself to the change in temperature, often makes things worse (and makes you look like a sissy). Jump in and your anxiety and discomfort will soon be behind you (and you’ll look like a stud). But while these tips are effective, I’ve found that often, the best way to deal with things you don’t want to do is to not do them at all. Not everything must be done. I find that not doing things rarely leads to permanent and serious harm or the loss of significant opportunity. The 80/20 principle tells us that “most things don’t matter” (the “trivial many”) and by not doing them, we free ourselves to focus on the “precious few” that do.Ask yourself, “what’s the worst that could happen if this doesn’t get done?” Most of the time the answer will be “not that much” and you can safely cross it off your list. Not everything that must be done must be done by you. Just because something needs to be done doesn’t mean you are the one who must do it. Have an employee do it. Or an outside contractor. Or your partner. Whenever possible, do what you are best at and want to do and delegate everything else. If it must be done and it must be done by you, it doesn’t always have to be done immediately. How many times have you put something on your task list only to find that out later that it no longer needs to be done? The problem worked itself out, someone else took care of it, or it really wasn’t as important as you previously thought. I find that happening to me all the time. Therefore, by not doing some things immediately, by intentionally procrastinating on things I don’t want to do, I safely eliminate many unpleasant tasks. Not everything that must be done, by you, and immediately, must be done completely. The 80/20 principle also tells us that 80 percent of the value of a project, for example, comes from 20% of the tasks that comprise it. Therefore, when you have to do something you don’t want to do, look for ways to curtail it. Do only what is essential and of high value and avoid the rest. There will always be unpleasant tasks in our lives we must do. A eulogy for a loved one, confronting a child who is going down the wrong path, or creating a household budget to drastically reduce expenses come to mind. But most tasks don’t fall into that category and can be avoided, delegated, deferred or reduced in scope. 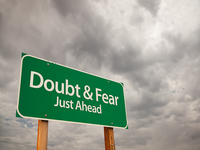 The negative feeling you get when facing an unpleasant task are there for a reason. Your aversion to doing something is your subconscious mind (higher self, God, instincts, etc.) trying to protect you. If you’re staring down a lion and facing death, don’t ignore your fear, run. Do it immediately and as completely as you can. But if you have a call to make, perhaps to a client who is behind in payment, and you don’t want to do it, you don’t have to “feel the fear and do it anyway”. Feel the fear and have your secretary do it.